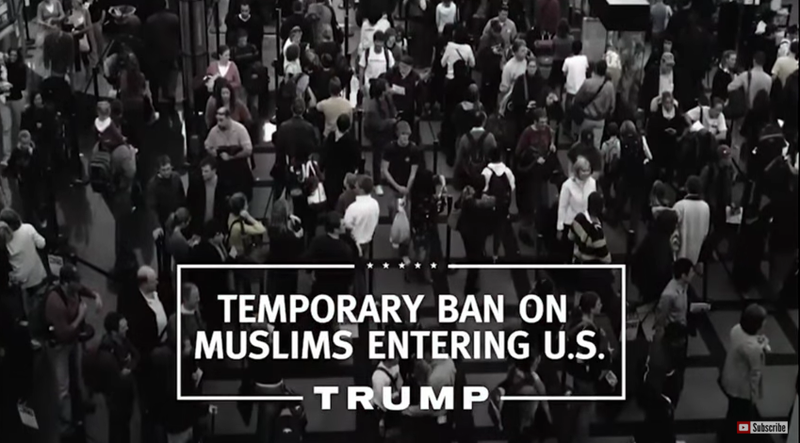 Watch Donald Trump's first TV ad. The ban will last “until we can figure out what’s going on,” the narrator says. The Iowa caucus is Feb. 1. #TakeTheOil! Read more of Slate’s coverage of the 2016 GOP primary.